The starlet sea anemone offers clues to how animal body plans develop. How and why do some proteins transform themselves into a different shape that “infect” other proteins? Insights from the Gerton Lab point to a possible predictor of how well certain cancer treatments may work. The Stowers Institute attracts the best minds from all over the world. At last count, our scientists and students hailed from 30 different countries. How are genes regulated to impact development, physiology, and disease? This is one of the most fundamental questions in biology. Watch Ahna Skop, PhD, from University of Wisconsin-Madison give a lecture titled, Too Creative for Science? 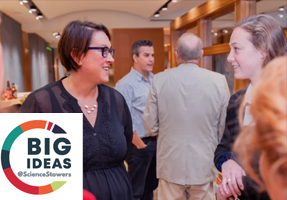 in a video from our BIG IDEAS @ScienceStowers lecture series. 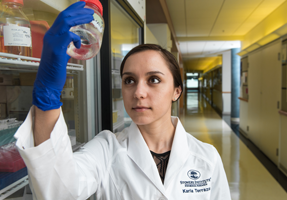 The Graduate School of the Stowers Institute will prepare a select group of young scientists whose truly transformative and integrative approaches to research will revolutionize 21st century biology.